Arsene Wenger is currently one of the most well known and respected football managers on the planet. Appointed by Arsenal back in October 1996, this Strasbourg-born coach has been at the helm of the London-based outfit for 20 years now, and he continues to fight in the best football league in the world. However, many loyal supporters of the club now believe it is time for their legendary manager to move on, due to results in the recent years not being as successful and glorious as they once were. Some believe Wenger is past it, while others claim he hasn’t been at his best for more than a past few seasons. 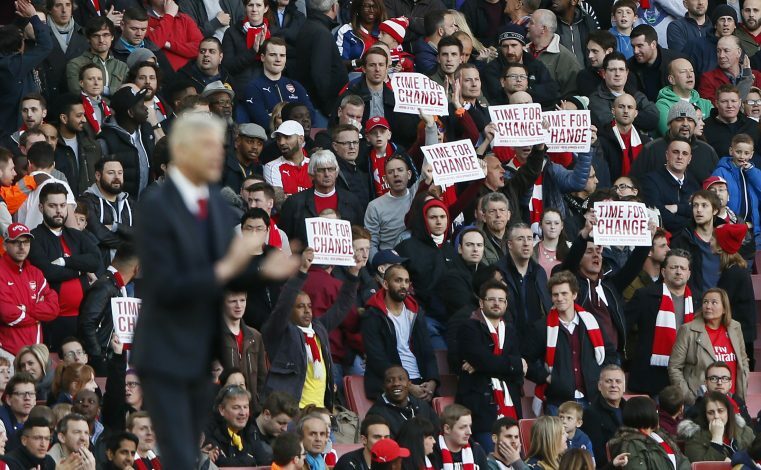 The trending of the hashtag ‘#WengerOut’ on twitter has now become a regular phenomenon, and amid such frequent complaints from the Arsenal fanbase, we now take a look at why it really does seem like Arsene Wenger should leave the place he has been calling ‘home’ for two decades. When a Premier League powerhouse – the likes of Arsenal, Chelsea, Liverpool, and both the Manchester clubs, for instance – appoints a new first team manager, his primary aim is simple: WIN THE PREMIER LEAGUE. The most coveted prize in English football is the trophy that matters the most. If you win it, you’re a legend. If you don’t, you’re shown the exit door. 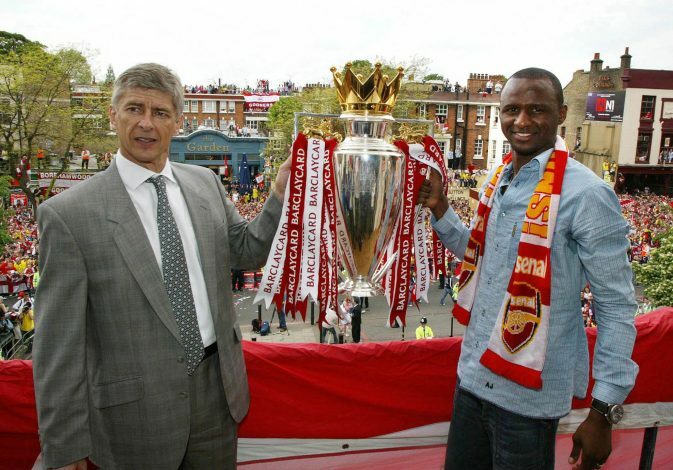 However, Arsene Wenger, for one, has at present, failed to win the Premier League title for 12 seasons and counting! His men were last crowned the Champions of England back in 2004, when his Invincible side went the entire season unbeaten. But since then, his teams have finished 4th in the league table six times, 3rd four times, 2nd only twice, and 1st – not at all! These final league positions clearly indicate that the Arsenal board has perhaps gotten used to Wenger’s mediocrity, and if the club does want to reclaim its long lost glory and the #1 spot, the Frenchman needs to be sacked and succeeded by a more suitable candidate. The ongoing Premier League season is being dubbed by many as the most exciting season yet, due to top English clubs being managed by some of the best managers in the business, such as Antonio Conte, Pep Guardiola, Jurgen Klopp, Jose Mourinho, and Mauricio Pochettino, to name a few. 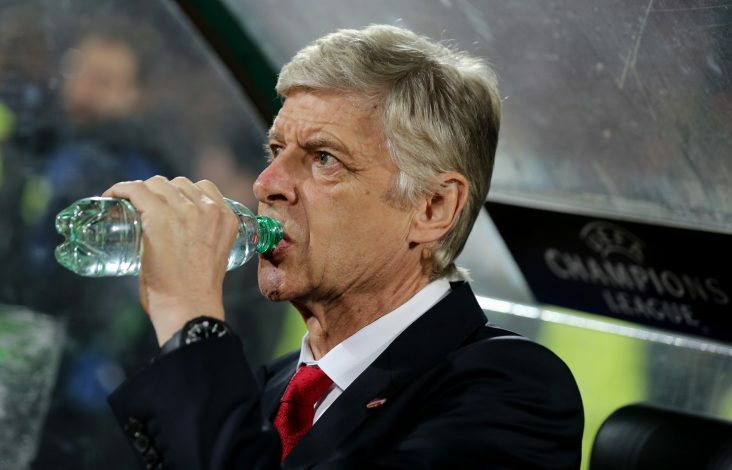 But despite Arsene Wenger being the oldest and the most experienced of the lot, the 67-year-old has failed to establish his supremacy amongst this elite list of bosses. 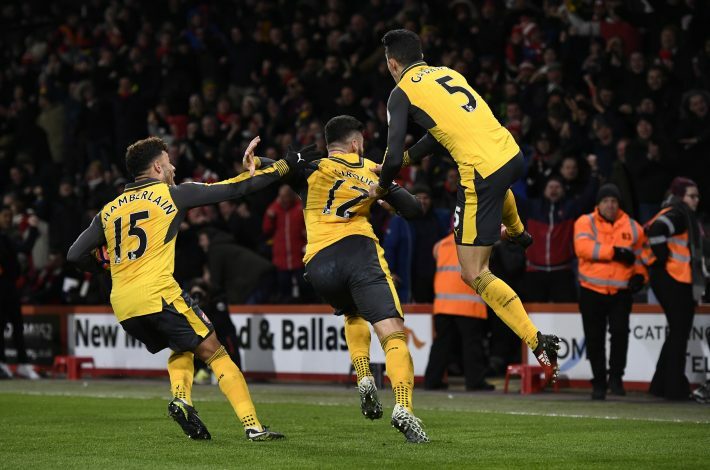 Out of the six games Arsenal have played against the current Top 6 in the Premier League, the Gunners have only managed to win one (against Conte’s Chelsea early in the season). Wenger and co. have drawn the other two (against Spurs and Man United), and lost the remaining three (against Liverpool, Man City, and most recently, Chelsea). With just a 16% win record against the Top 6, it’s clear that the French manager is finding it hard to cope with these world-class coaches competing in this ever-improving competition, and there is absolutely no way for Arsenal to win the league, or come anywhere near the top again, if this record doesn’t drastically improve during the remainder of the season. Back in Arsenal’s Invincibles Era, the Gooners were feared by all, and taken for granted by none. Win, win, win – that was the mantra of the squad, and they did just that, by going the entire campaign undefeated during the 2003-04 season. However, as the years have progressed, the London Club’s winning mentality seems to have dwindled, as per their fans, and some of the current footballing pundits as well. Rio Ferdinand, who has represented Manchester United against Arsenal numerous times in his glittering career, gave the perfect overview whilst recently talking about this particular topic. Ferdinand then added that this poor mentality was the reason why stars like Cesc Fabregas and Robin van Persie ended up leaving the club, before going on to compare the recent Arsenal teams with the famous Invincibles. “In the early days, they were unbelievable games,” Rio continued. “You would have to win the fight first and then you could play your football. It wasn’t until about 2007, ’08, ’09, ’10 that we’d go there and our team talk revolved around outrun them, overpower them – they don’t want their feathers ruffled. They don’t like it if you’re aggressive, and that’s the way we played against them. “My team, we could adapt. We could be like that or we could play football. And that’s probably one of the things this Arsenal team lack in the last few years. In that Champions League semi-final, we destroyed them. Overpowered them. But Arsenal are clearly not the force they used to be back in the day, and there’s only one man to blame for this downfall, don’t you think? 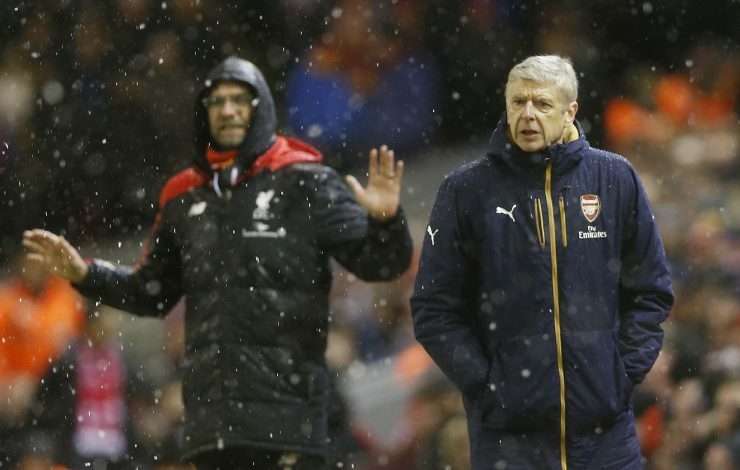 Famous English writer H. G. Wells once stated: “Adapt or perish, now as ever, is nature’s inexorable imperative.” But someone needs to tell Arsene Wenger that. As effective and successful as he once was, Wenger is now borderline ineffective and primitive, at least when it comes to winning major titles. His teams play attractive and attacking football, no doubt, but their strategy and tactics remain the same throughout the campaign, irrespective of the type of opposition. The Arsenal manager’s reluctance to adapt and modify has been costing his teams time and time again, and this is precisely the reason why Sir Alex Ferguson and Jose Mourinho have always come out on top against this French coach. Furthermore, Wenger’s disinclination towards pouring more money into the transfer market and making some much-needed improvements to his squad has been another reason behind so many Arsenal fans calling for his sacking. While investing in youth prospects is a sensible, and even a noble philosophy, sometimes a club simply needs to bring in star players and get going ASAP – just like Arsenal did when they signed Mesut Ozil and Alexis Sanchez. The Gooners continue to lack that final piece of the puzzle at the moment, and unless Wenger sheds his concrete beliefs and adapts to the current nature of the Premier League, he will definitely be shown the exit door come summer. These are the reasons why we believe it’s time for Arsenal to part ways with their loyal servant, and move on to usher into a new era for the club. Do you agree with these reasons, or do you believe Wenger still has something to offer to these Premier League giants? Let us know by commenting below.